On June 2, 2011, Sarah Palin glibly told an adoring audience of Tea Baggers and disgruntled Republican loyalists to be ever vigilant and well armed, like Paul Revere. Either incapable or unwilling to speak proper English as is taught in most schools in the USA, Sarah Palin pitched her parched speech in a skewered effort to appear “folksy”. Palin preached: “He [Paul Revere] who warned [on the evening of April 18, 1775] uh, the British that they weren’t gonna be takin’ away our arms [referring to the Second Amendment of the Constitution, which as to be presented to the Constitutional Convention that did not convene until 1787, and the Bill of Rights that included the Second Amendment was not adopted until December 15, 1791], uh by ringing those bells, and um, makin’ sure as he’s riding his horse through town to send those warning shots [there were no warning shots] and bells [no bells pealed] that we were going to be sure and we were going to be free, and we were going to be armed.” Nearly every news media caught the errors in fact, and any history book would show the statement wrong. Palin, however, has never publicly admitted that she was wrong at any time, and continued defending her lack of knowledge of USA history on Sunday, June 5, 2011, telling Chris Wallace at Fox News on Sunday: “”I know my American history… Part of Paul Revere’s ride… was to warn the British that were already there, that ‘Hey, you are not going to succeed. You’re not going to take American arms. You are not going to beat our own well-armed persons, individual private militia that we have” (http://news.yahoo.com/s/afp/20110605/ts_alt_afp/uspoliticshistorypalin_20110605151026;_ylt=AtSQBabI3VRej3Wo953riMu9IxIF;_ylu=X3oDMTNoMGZrMmozBGFzc2V0A2FmcC8yMDExMDYwNS91c3BvbGl0aWNzaGlzdG9yeXBhbGluBGNjb2RlA3RvcGdtcHRvcDIwMHBvb2wEY3BvcwMxBHBvcwMxBHNlYwN5bl90b3Bfc3RvcmllcwRzbGsDcGFsaW5zdGlja3N0 and http://news.yahoo.com/s/ap/us_palin;_ylt=AptB9ERjsyKRaYdDJ0ZFEVbZa7gF;_ylu=X3oDMTMycmoxOWZqBGFzc2V0A2FwLzIwMTEwNjA1L3VzX3BhbGluBGNjb2RlA3RvcGdtcHRvcDIwMHBvb2wEY3BvcwMyBHBvcwMyBHNlYwN5bl90b3Bfc3RvcmllcwRzbGsDcGFsaW5pZGlkbnRt). On the evening of April 18, 1775, Paul Revere was sent for by Dr. Joseph Warren and instructed to ride to Lexington, Massachusetts, to warn Samuel Adams and John Hancock that British troops were marching to arrest them. After being rowed across the Charles River to Charlestown by two associates, Paul Revere borrowed a horse from his friend Deacon John Larkin. While in Charlestown, he verified that the local “Sons of Liberty” committee had seen his pre-arranged signals. (Two lanterns had been hung briefly in the bell-tower of Christ Church in Boston, indicating that troops would row “by sea” across the Charles River to Cambridge, rather than marching “by land” out Boston Neck. Revere had arranged for these signals the previous weekend, as he was afraid that he might be prevented from leaving Boston). There is controversy over what really happened, as there are several copies of what are preported to be detailed accounts and assessments of the famous ride. 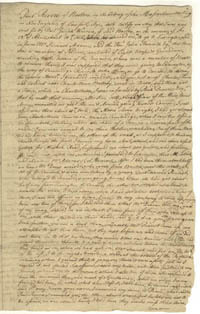 Revere fills most pages of his letter to Belknap (pages 2-6) with the description of his ride. He writes of avoiding British soldiers and reaching Lexington, where he conveyed information to Hancock and Adams and where he met up with William Dawes. 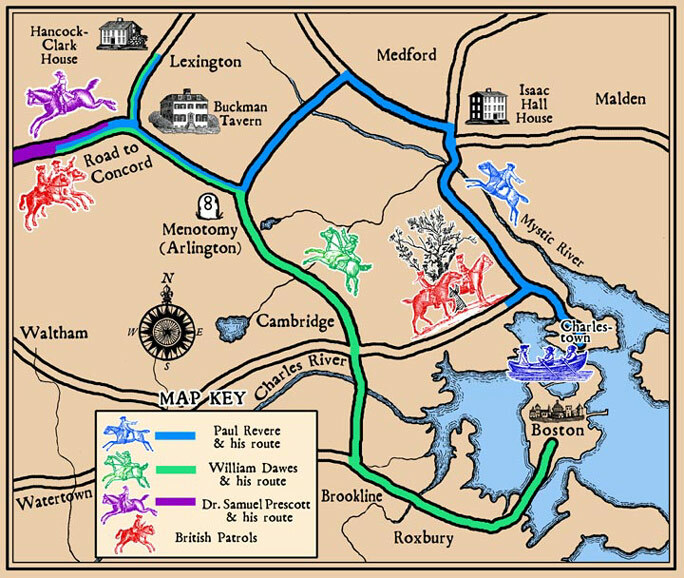 After Revere and Dawes set off for Concord, they were joined by Samuel Prescott, who helped them “allarm all the Inhabitents.” Revere’s ride ended when he was captured by British soldiers, interrogated, and eventually released in Lexington in time to hear the opening shots of the Revolutionary War. Revere would not have yelled “The British are coming!” as the colonists considered themselves as British and not as Americans. Also the Regulars (army) of Britain was already on the colonial soil as they had been for some time. 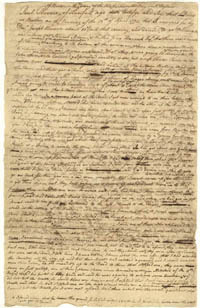 The actual letter detailing the account was written in 1798. 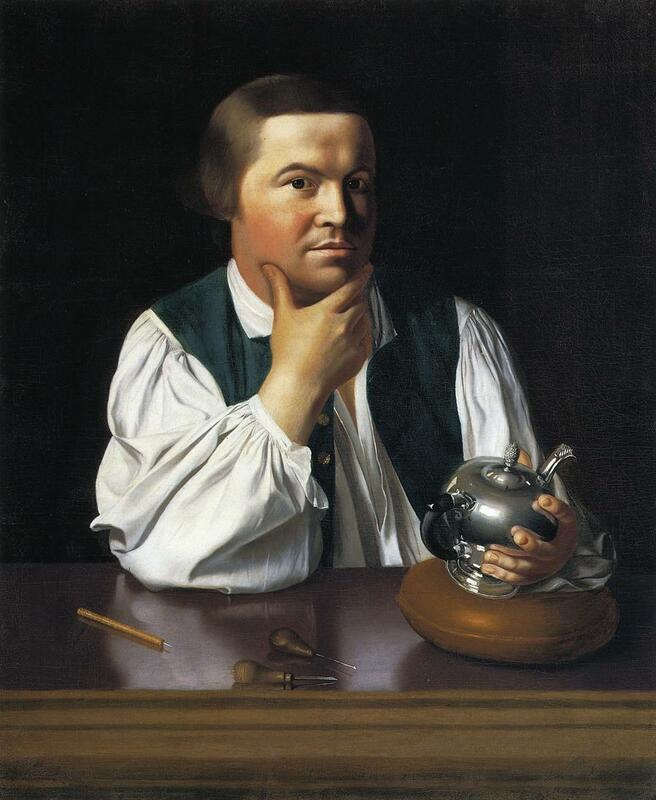 Revere did give up some details of the plan to the British that night, but after he had notified other colonists, and under questioning by British soldiers (interrogation that is and has always been routine among every military; Paul Revere’s account: http://bit.ly/jhpMMl). The problem is that most of Palin’s apologists, especially Conservatives4Palin are using the 1798 letter which will support most of what Palin said–but that letter is an entire generation away from the events that occurred, and Revere only initialed it, then signed it, and then thought again and crossed through his signature and wrote above it “Patriot” (while Macsmind argues for a letter reputedly produced in 1789; http://macsmind.com/wordpress/2011/06/03/sarah-palin-was-right-about-paul-reveres-ride/ thereby adding to the confusion). I doubt that Palin studied all extant copies (as most historians do not, as historians tend to seek out those that meet historical criteria and not just copies of copies; for example in the edition cited by the conservative supporters of Palin, there are numerous repetitions: Clapped his pistol to my head, called me by name, & told me he was going to ask me some questions, & if I did not give him true answers, he would blow my brains out. He then asked me similar questions to those above. He then orderd me to mount my Horse, after searching me for arms.He then orderd them to advance, & to lead me in front. When we got to the Road, they turned down towards Lexington. When we had got about one Mile, the Major Rode up to the officer that was leading me, & told him to give me to the Sergeant. As soon as he took me, the Major orderd him, if I attempted to run, or any body insulted them, to blow my brains out. We rode till we got near Lexington Meeting-house, when the Militia fired a Voley of Guns, which appeared to alarm them very much.” which follows a scenario of constant reemphasis) and then planned her speech with a series of folksy intonations and stuttering. Palin’s supporters are clutching at straws, as there is no definitive work, and the later copies show massive rewriting after the fact. Palin Is the same person who didn’t know that Africa was a continent, and didn’t know all the countries in North America. Even Fox News chairman Roger Ailes, whose company employs Palin, believes she is “an idiot.” As for the clinical professors of law and other apologists, they need to be more thorough in their research and not cite a later redaction. 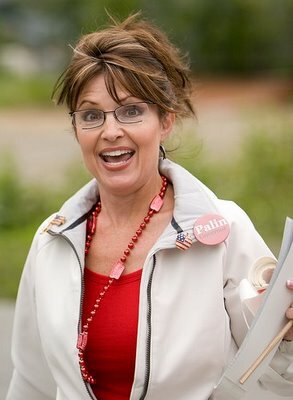 On June 1, 2011 Palin, continuing her trip to demonstrate her patriotism and knowledge of USA history had the unique opportunity to show herself some what competent. However, this did not come to pass when she called the Statue of Liberty (a gift from France) the Statute of Liberty (it was never a law). Palin’s gaffes in 2011 are far worse than her erroneous statements while running for the Vice Presidency of the USA in 2008. The Alaskan’s errors were closely matched if not tantamount to another female running for the same post of President of the USA: Congressional Representative Michele Bachmann (R-MN). 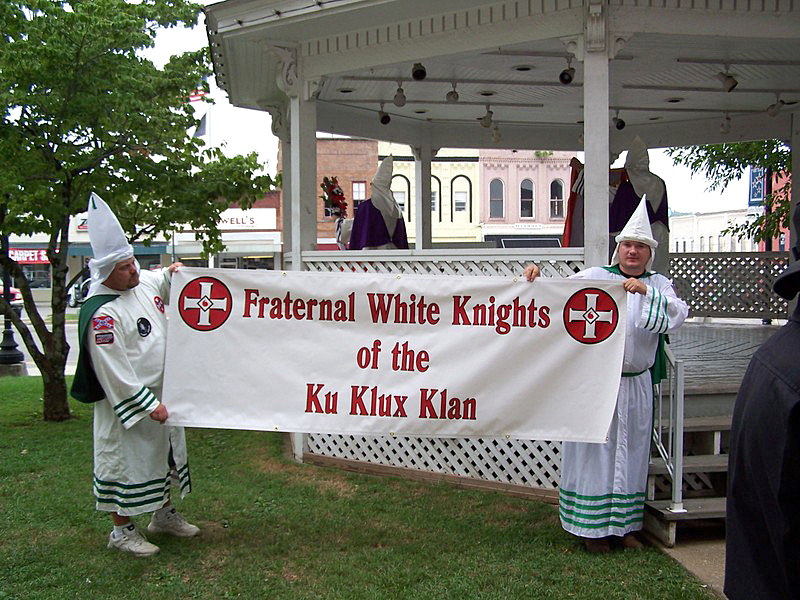 In May 2011, the Republican evangelical spoke to an equally adoring crowd of Tea Bag Republicans in New Hampshire that they came from the state where the first “shot heard round” helped set off the American Revolution in Lexington and Concord. Lexington and Concord, of course, are in the neighboring state of Massachusetts. 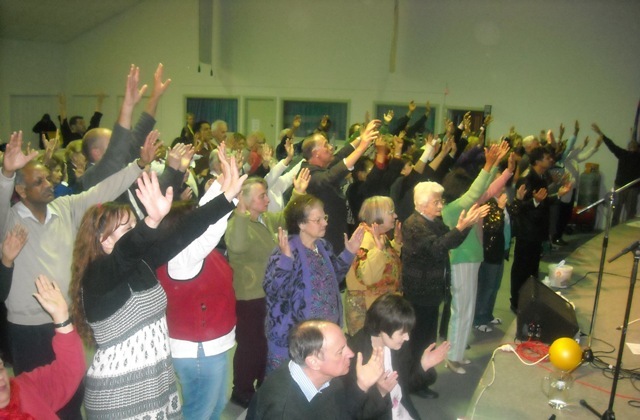 Bible Church”—actually a Pentecostal Church: The Assembly of God. It is the largest pentecostal denomination in the world and known for speaking in tongues, healing, and an emotional and contemporary style of worship with a lot of hand-raising. It rejects conservation of natural resources, arguing that God will always provide, and compares human rights as something that must come from the Bible; it is, therefore fair to compare her to two other noteworthy members of the Assembly of God who were also involved in Republican politics: Bush’s Attorney General, John Ashcroft(cf. http://www.chicagotribune.com/news/nationworld/sc-dc-0601-court-ashcroft-20110531,0,2570854.story; see: http://video.search.yahoo.com/search/video?p=crimes+of+john+ashcroft&b=21&tnr=20) and Reagan’s Secretary of the Interior, James Watt who worked to end federal oversight of national parks in favor of business and commercial enterprises (read: Lipske, Michael (1995). “Cracking down on mining pollution – environmental lawyer Thomas Galloway develops Applicant/Violator System to find violators of mining law”. National Wildlife at: http://findarticles.com/p/articles/mi_m1169/is_n4_v33/ai_16971135; cp. “The Prosecution of James Watt” The Washington Post January 4, 1996, and “The Legacy of James Watt, Time Magazine October 24, 1983 at http://www.time.com/time/magazine/article/0,9171,926267,00.html ). 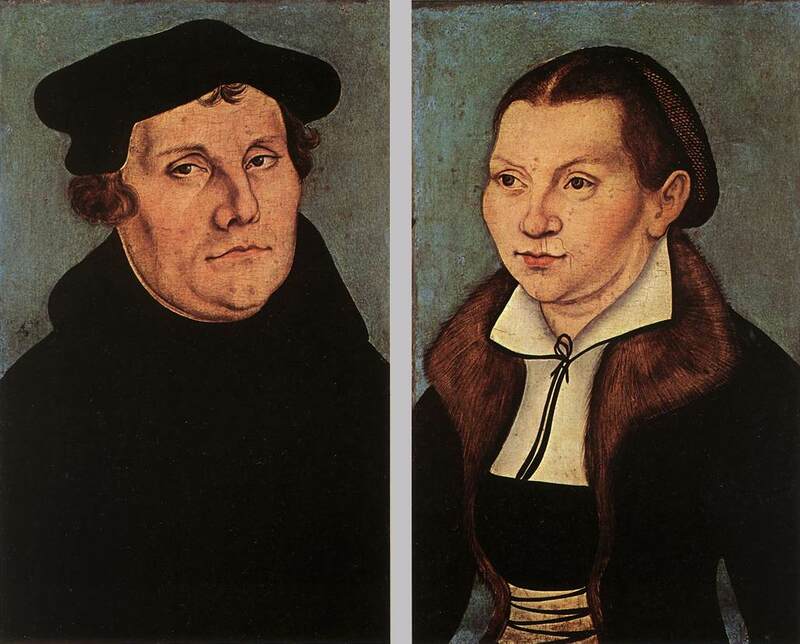 Luther’s attacks on women are especially heralded in today’s Southern Baptist churches. 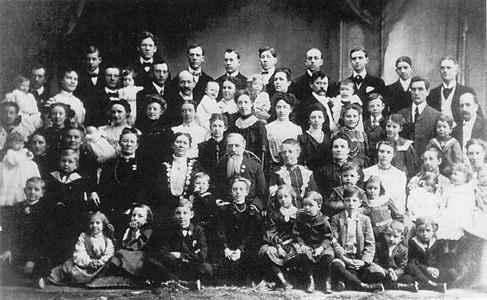 A prohibition on pastoral leadership by women, affirmed within the last several years, is based on the Bible verse 1 Timothy 2:12 in which the Apostle Paul says, “I permit no woman to teach or have authority over a man.” Regarding family life, Southern Baptists cite Ephesians 5:22, “Wives, submit to your husbands as to the Lord” ( αι γυναικες τοις ιδιοις ανδρασιν υποτασσεσθε ως τω κυριω; cp. Colossians 3:18, Titus 2:5, and 1 Peter 3:8, the latter being of dubious authenticity). It makes women equal to slaves (Ephesians 6:5: οι δουλοι υπακουετε τοις κυριοις κατα σαρκα μετα φοβου και τρομου εν απλοτητι της καρδιας υμων ως τω χριστω). This is an adaption from Esther 1:20 ( וְנִשְׁמַע פִּתְגָם הַמֶּלֶךְ אֲשֶׁר־יַעֲשֶׂה בְּכָל־מַלְכוּתֹו כִּי רַבָּה הִיא וְכָל־הַנָּשִׁים יִתְּנוּ יְקָר לְבַעְלֵיהֶן לְמִגָּדֹול וְעַד־קָטָן׃) and is a Babylonian command that required honor but not obedience. It was later redacted into the Letters of Paul written by numerous unknown authors. 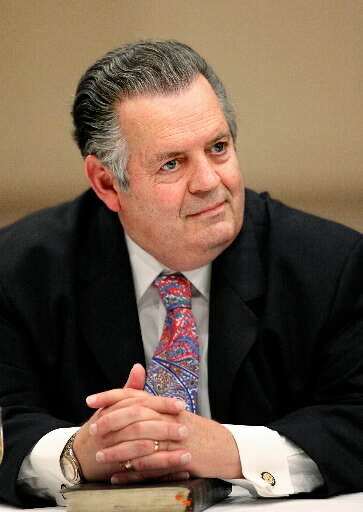 Richard Land (born 1946) is the president of The Ethics & Religious Liberty Commission (ERLC), the moral and ethics concern entity of the Southern Baptist Convention in the United States, a post he has held since 1988. He moved from Texas to Tennessee to serve as interim pastor at Red Bank Baptist Church in Chattanooga. A staunch biblical literalist, using not the original scrolls nor photographs of the text, but slavishly enslaved to the contemporary editions of the Bible, said that the Southern Baptists’ position allows for a wife to work outside the home, so long as her husband agrees — and Todd Palin has long-backed his wife’s career in public service, and was a supporter of Sarah Palin as US Senator John McCain (R-AZ) running mate in 2008. Land’s view is far from universal in the denomination as many Southern Baptists believe women and mothers should stay home, and his interpretation has cost him support among the Southern Baptist Convention, despite the fact that George W. Bush appointed Land to several national commissions on religion and personal freedom. In a 2004 sermon, the Rev. Daniel L. Akin, president of the Southeastern Baptist Theological Seminary, in Wake Forest, N.C., cited the biblical book of Titus to argue that one of God’s assignments to young women is to “be a homemaker” (the actual line in Titus [2:5] reads: σωφρονας αγνας οικουρους αγαθας υποτασσομενας τοις ιδιοις ανδρασιν ινα μη ο λογος του θεου βλασφημηται; it is a reference to “working at home”, which could include a cottage industry as many women produced items to sell to sustain the family; it is not a rejection of work, but Akin’s biblical knowledge is limited) . To commit to this injunction, in the late fall of 2008, the Southwestern Baptist Theological Seminary, with its main campus in Fort Worth, returned to the past forty years and introduced an academic program in homemaking, where only women are taught how to cook and sew (http://www.usatoday.com/news/religion/2008-10-02-palin-baptists_N.htm). In this regard, as in so many hundreds of other areas, the Southern Baptists deliberately misquote, mistranslate and misinterpret the Bible. Men did cook in the Old and New Testament, the most famous account being in Genesis 27 and the rivalry between Jacob (a liar and thief) and Essau (a loving son who did as his father instructed him to do), for Jacob had his mother prepare the food for his blind father and thereby stole the birthright of Essau, while Essau prepared his father’s favorite food: וַיַּעַשׂ גַּם־הוּא מַטְעַמִּים וַיָּבֵא לְאָבִיו וַיֹּאמֶר לְאָבִיו יָקֻם אָבִי וְיֹאכַל מִצֵּיד בְּנֹו בַּעֲבוּר תְּבָרֲכַנִּי נַפְשֶׁךָ׃ verse 31. As the New Civil Rights Movement noted, “The bill, H. Con. Res. 25, introduced March 3, oddly proclaims that ‘the Defense of Marriage Act has never been overturned in any Federal lawsuit challenging its constitutionality by a Federal Court,’ yet this is untrue”. “U.S. Ninth Circuit Court of Appeals Judge Stephen Reinhardt declared DOMA unconstitutional in 2009. “In conclusion of this matter, it should be noted that there seems to be evidence that even Joseph Smith himself renounced his personal involvement in polygamy, acknowledging that the 1843 revelation to institute it as official Church doctrine, originated with the Devil and not God. The following statement made by William Marks, who was Presiding Elder at Nauvoo, Illinois in 1844, may be quoted in this regard: “[Joseph] said it [plural marriage] eventually would prove the overthrow of the church, and we should soon be obliged to leave the United States unless it could be speedily put down. He was satisfied that it was a cursed doctrine, and that there must be every exertion made to put it down.” William Marks, Saints’ Herald, Volume I, Number 1, page 22. Joseph Fielding Smith, his nephew and sixth president of the LDS produced more progeny than most other Mormons, and was acclaimed a living saint, although his wives wrote letters that they were living in hell. These sources reject the claim of presidential aspirant Mitt Romney (a Mormon) who argues that “for three thousand years, marriage was only between one man and one woman” in total opposition to his Mormon faith and practice (read: http://www.boston.com/news/politics/politicalintelligence/2011/06/romney_nods_to.html, cp. 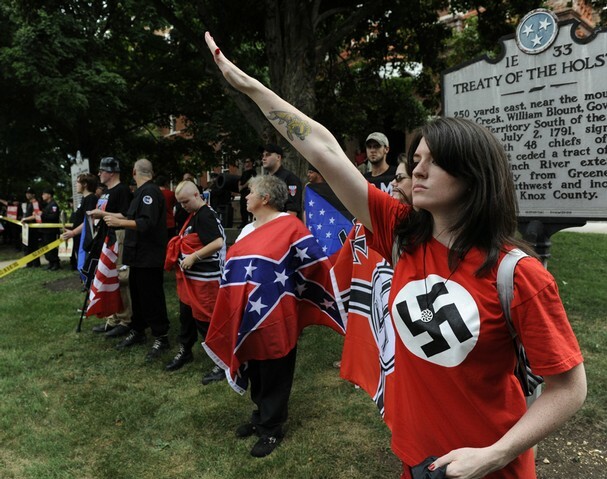 http://www.christianpost.com/news/mitt-romney-jon-huntsman-court-evangelical-voters-50838/, cf. http://www.slate.com/id/2140539/). Romney’s great-grandmother, Hannah Hood Hill, was the daughter of polygamists. She wrote vividly in her autobiography about how she “used to walk the floor and shed tears of sorrow” over her own husband’s multiple marriages (read: http://www.sfgate.com/cgi-bin/article.cgi?file=/n/a/2007/02/24/politics/p101652S30.DTL). 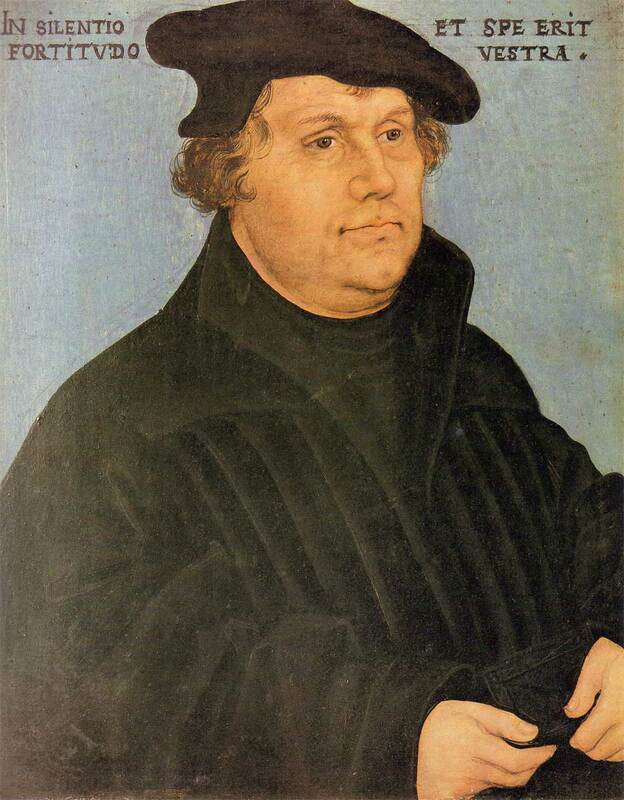 Scientific studies show today that “religious experiences” (especially believing that one received a “call” from “god” as all great dictators have declared through the days of Luther, Hitler, and Bachmann) shrink the brain with atrophy in the hippocampus (a central structure of the limbic system that is involved in emotion as well as in memory formation; see: Newberg M.D., Andrew (May 31, 2011), “Religious experiences shrink part of the brain,” in Scientific American at http://www.scientificamerican.com/article.cfm?WT.mc_id=SA_OB&id=religious-experiences-shrink-part-of-brain and, cp. : http://www.scientificamerican.com/article.cfm?id=searching-for-god-in-the-brain). Most religious experiences and evangelical zealotry is the result of stress and has a negative affect on mental health, where the afflicted fantasizes that “god is punishing” them for some imaginary infraction or one engrained by excessive dependency on a rereading of a book, such as the Bible or Koran. 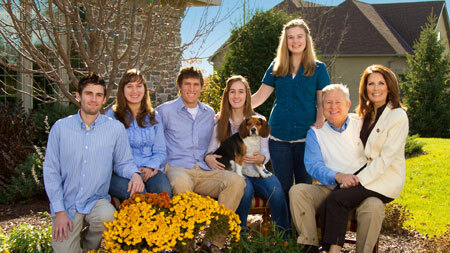 Bachmann is religiously and zealously opposed to any help for students seeking higher education. On July 11, 2007, Bachmann voted against the College Cost Reduction and Access Act that many Republicans supported as it would raise the maximum Pell grant from $4,310 to $5,200, lower interest rates on subsidized student loans to 3.4 percent from 6.8 percent, raise loan limits to $30,500 from $7,500, disfavor married students who file joint tax returns by giving equitable treatment to the loan seekers based on their own merits rather than on their status of being single or married (partnered was out of the question). Furthermore, Bachmann argued that it was socialistic as it provided more favorable repayment terms to students who do not use their education to prosper financially and favor public sector over private sector workers with much more favorable loan forgiveness benefits. Those who fought for the students claimed that the bill “would allow more students to attend college”. While Bachmann attempted to hide behind economic rhetoric, her opposition to egalitarianism was obvious when she claimed that she opposed the legislation since “it fails students and taxpayers with gimmicks, hidden costs and poorly targeted aid. It contains no serious reform of existing programs, and it favors the costly, government-run direct lending program over nonprofit and commercial lenders.” Despite her religious ranting and prayers in Caucus, the bill passed the House and was signed by her own GOP President Bush. but is viciously vocal about global warming, claiming that global warming is a hoax. She remains a skeptic of global warming; she has asserted that since carbon dioxide is “a natural byproduct of nature”, and that it is a beneficial gas required by plant life. While it is true that carbon dioxide is needed for plant growth, too much carbon can destroy the same plant life. Carbon dioxide can cause asphyxiation and irritation. When its level rises in water (oceans, streams, lakes, and so forth) it kills fish, reef-building corals, and the ability of marine algae and free-swimming zooplankton to maintain protective shells is reduced. Studies have shown that increased CO2 leads to fewer stomata developing on plants (read: F. Woodward and C. Kelly (1995), “The influence of CO2 concentration on stomatal density” New Phytologist 131 (3): 311–327), leading to reduced water usage. The side adverse effects on other parts of ecosystems have been demonstrated dramatically: herbivores must eat more food to gain the same amount of protein which means that the food supply will become less as the demand grows, and the earth’s ability to regenerate existing food supplies (much less increasing food supplies) will be hampered—for people this means that food prices will rise. 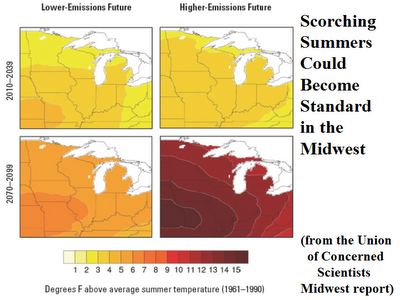 While Bachmann is correct in stating that the production of carbon dioxide is a normal occurrence in the earth, she is wrong in saying that nature will take care of all the excessive carbon dioxide particles produced by people and animals as well as industrial pollution (especially from Koch Industries, ExxonMobil, and other major destroyers of the ozone) as the excess of carbon is now destroying glaciers, rivers, streams, and breathing space for people. “armed insurrection”. The next month the Minnesota Tea Bagger promoted two forums she was hosting the next month in St. 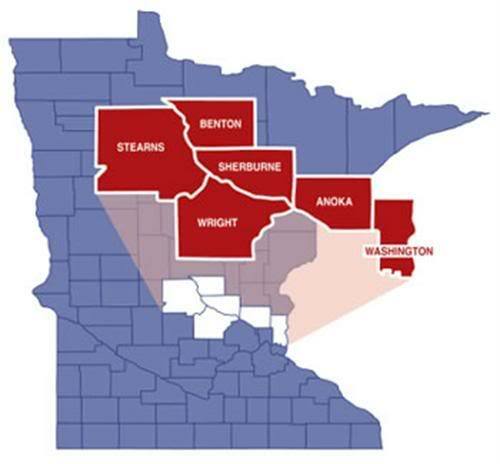 Cloud and Woodbury stating that she wanted Minnesotans “armed and dangerous on this issue of the energy tax because we need to fight back.” Her statements went viral on the internet, endearing Bachmann to the National Rifle Association (NRA) and to a significant portion of the Sovereign Citizens paramilitary group, the KKK and their offspring: White Supremacy, Aryan Nation, and similar hate groups that thrive throughout the USA, even in rural Iowa (http://www.startribune.com/politics/statelocal/42478007.html?source=error). 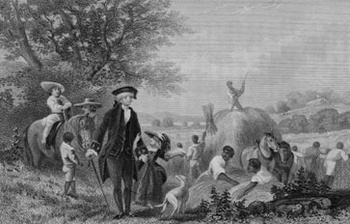 the Founding Fathers worked tirelessly to end slavery, the truth was that most—including George Washington and Thomas Jefferson—had slaves and fathered children by slave women. What is more strange is that Bachmann singled out Adams for “ending slavery” and totally ignored that he wanted to modernize and advanced education (which Bachmann opposes) in the USA—which cost him his second bid for the US presidency. By minimizing the perception of slavery and our embarrassing civil rights past Bachmann is also minimizes the greatness of a Obama presidency—which has always been her stated goal (http://www.mediaite.com/online/michele-bachmann-obama-speaks-as-if-in-a-parallel-universe-where-economy-is-great/ and http://www.washingtonpost.com/blogs/fact-checker/post/michele-bachmann-twists-obamas-words-on-israel/2011/05/25/AGs5XLBH_blog.html and http://www.politico.com/news/stories/0511/55916.html where she declares that “Obama’s … [health care] is the crown jewel of socialism”; cp. 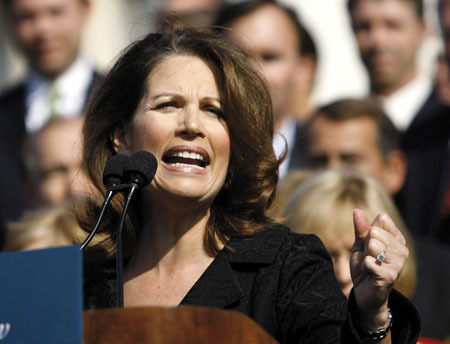 http://www.usatoday.com/news/politics/2011-05-19-bachmann-small-donors_n.htm?csp=34news; on birther charges that Obama was not born in the USA, see: http://video.search.yahoo.com/search/video?p=michele+bachmann+on+obama). Bachmann’s hatred for Obama is expressed openly with such venom at every opportunity that the Representative misstated facts and outright lies. Bachmann said in her Tea Party rebuttal of the President’s Address, unemployment “spike” as a result of the president’s policies, specifically the stimulus package. The truth, however, shows that job losses were climbing under the Bush-era policies, with 8 million people losing their employment; by comparison, the post-stimulus number was 41,000. 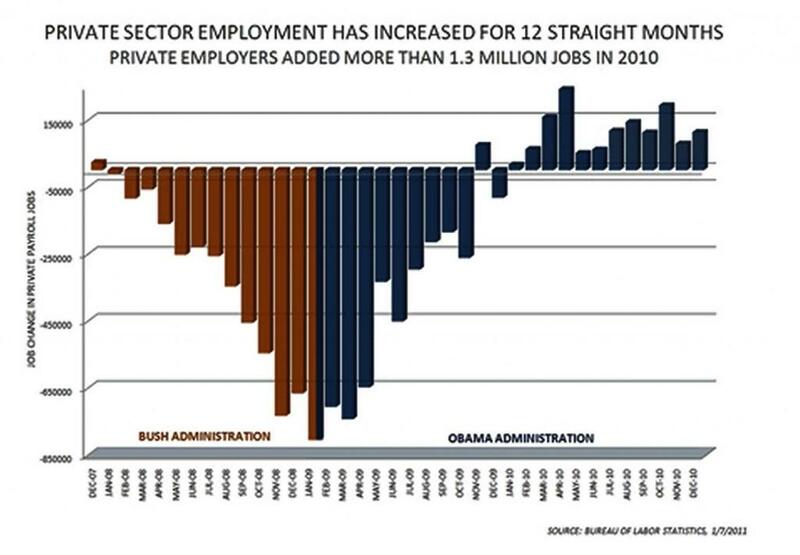 What Bachmann claims are job losses under Obama actually began under George W. Bush. 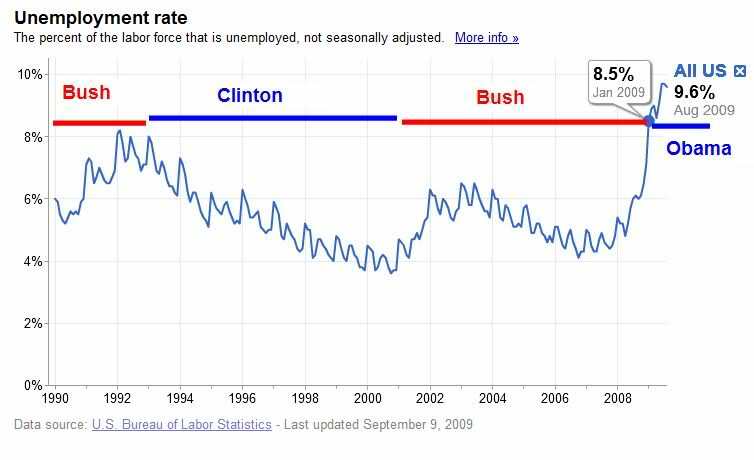 Jobs were at an all time high under President Clinton, and Obama inherited the continuing loss of jobs that were initiated under Bush and his agreement to outsource USA jobs. Bachmann’s level of knowledge of United States history is so marginal that not only are educators and public media personality taking Bachmann to task for her lack of knowledge (http://www.huffingtonpost.com/2011/01/25/anderson-cooper-bachmann-american-history_n_813695.html), but that a high school sophomore from New Jersey named Amy Myers challenged the Minnesota legislator to a debate, in a letter entitled “Public Forum Debate and/or Fact Test on The Constitution of the United States, United States History, and United States Civics” (http://thestir.cafemom.com/in_the_news/120310/michele_bachmann_is_no_match and http://www.mediaite.com/tv/lawrence-odonnell-offers-to-moderate-debate-between-michele-bachmann-and-10th-grader/ and, also, http://minnesotaindependent.com/81476/high-schooler-challenges-bachmann-to-debate-on-u-s-constitution). 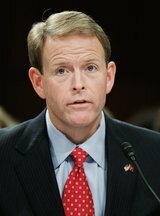 Council (among the top 18 organized hate groups in the USA), headed by Tony Perkins, held a one-hour webcast called a “prayercast” to pray against the Senate’s health care reform bill. 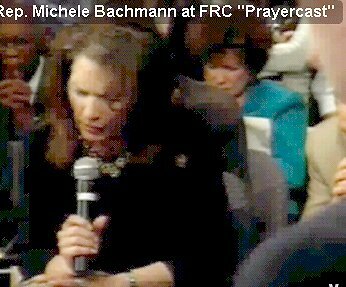 Representative Michele Bachmann (R-MN) attended the prayercast to save the nation from the much needed reform of the nation’s broken health care system. She led the assembled prayercast participants in prayer with all the flare and drama possible to win their votes as were as their verbal ejaculations for a god who remains distant and not listening to his chosen people’s decision as to what is best for all USA citizens. Not only did she pray that the National Health Care plan not be approved, she went so far as to ask Jesus for mercy for the sins of the lawmakers who would support the Obama initiated health care reform bill as if she were pastor and priest for the USA. 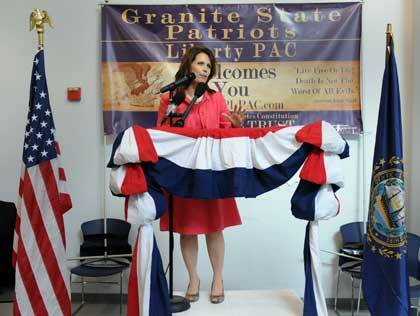 Joining Bachmann at the prayerfest were, Republican Sens. Jim DeMint (SC), Sam Brownback (KS) and Rep. Randy Forbes (VA). The prayer meeting to stop health care reform was also attended by such right-wing evangelical luminaries, as Lou Engle of The Call to Conscience, James and Shirley Dobson of Focus on the Family and Jim Daly president of Focus on the Family, all leaders of what have been officially designated as hate groups on par with the KKK and American Nazi movement, as has the Family Research Council and its President, Tony Perkins who is judged among the most hate-filled of all USA citizens and defines “family” in the most narrow sense–a definition that would on its own exclude Bachmann and Palin and most other GOP hopefuls, especially serial adulterer Newt Gingrich. 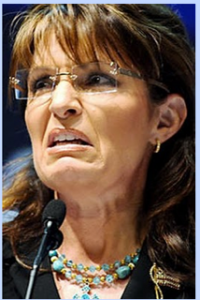 What Sarah Palin and Michele Bachmann have in common is confabulation. It works for them, but it will destroy the USA. Impressive article. Obviously well documented ( a bit tedious), but required (I guess) in these days of ignorance. I followed AFI’s blog from other posts and well, just sound thought and reason.